As stressful as the holidays can be with all the traveling, gift shopping, family time, and... more family time, there's plenty to look forward to. There's the cornucopia of baked goods, the ever-flowing eggnog, the gifts, and hopefully, plenty of booze. 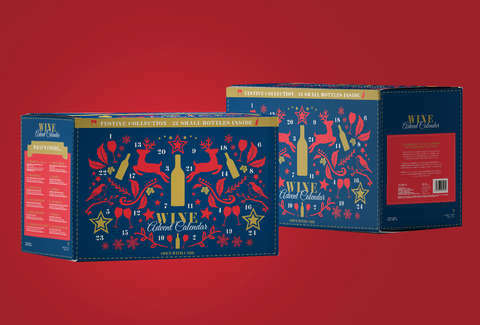 Fortunately, this season there's even more booze on the horizon thanks to ALDI and its new Wine Advent calendar, which comes stocked with 24 different bottles of wine -- one for every pre-Christmas day in December. This oenophile-friendly calendar from the discount grocery chain was a huge success when the company offered them in locations overseas last year, but this is the first time they'll be available in the United States. Each one comes stocked with 24 6.37-ounce bottles of vino, which amounts to roughly six full regular sized bottles in total. 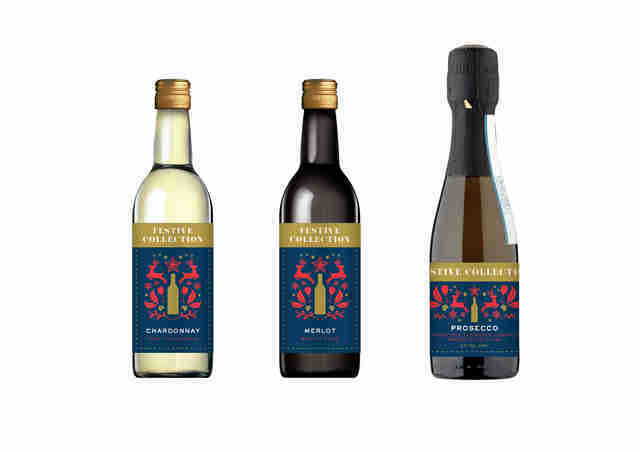 As for what to expect, you'll find two bottles each of 12 different varieties including Prosecco, Chardonnay, Chenin Blanc, Sauvignon Blanc, White Zinfandel, Cabernet Sauvignon, Pinot Grigio, Malbec, Shiraz, Red Blend, and Merlot. Since state liquor laws vary pretty widely, these unfortunately won't be available in every stateside ALDI location. However, you can easily check on the store's website to see if they're up for grabs in your neck of the woods when they hit shelves on Wednesday, November 7. Also, just a heads up that there's a limit of one per customer, so please control yourself. If wine isn't your thing, no worries. the popular grocery store is also selling a festive cheese Advent calendar with a whole variety of dairy goodness to get you through the weeks leading up to Christmas. Or, better yet, buy one of each and you'll set yourself up for a steady stream of wine and cheese pairings for the foreseeable future.